Home » Bollywood News » Rustom: Was Merchant Navy a possible career choice for Akshay Kumar? Rustom is not just the first film where Akshay Kumar plays a Parsi character, but also the first Bollywood film where a Parsi character has been shown in the lead. "I have lots of friends who are Parsis. One of my best friends in school was a Parsi. My manager is also a Parsi. So I have a lot of Parsi friends and I know people from the community. Therefore, it wasn't a difficult role to portray." 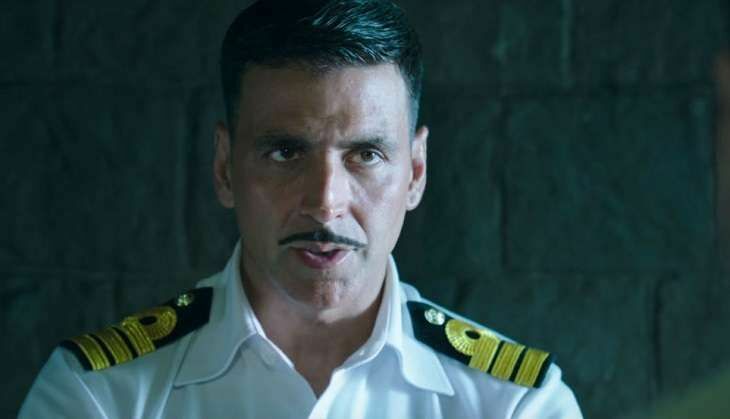 In Rustom, Akshay essays a Navy officer. He has previously donned the uniform as an Army officer in Holiday: A Soldier Is Never Off Duty, anti-terrorism secret agent in Baby, an Indian Air Force officer in Andaaz and as a police officer in films such as Aan: Men at Work, Khakee, Mohra, Main Khiladi Tu Anari, and Khiladi 786, among others. Akshay says that in real life, he had tried his luck to get into the Merchant Navy, but said things did not work out. "My father was in the Army, so there was one time when it would have been possible that I would have been in the Merchant Navy, but things did not work out... Something else was written in my destiny, so here I am in front you," said the actor. Rustom is based on the theme of infidelity and extra-marital relationships. It is based on the sensational Nanavati case where Indian Navy Commander Kawas Manekshaw Nanavati was tried for the murder of Prem Ahuja, his wife's lover. Also starring Ileana D'Cruz, Esha Gupta, Arjan Bajwa, and Pavan Malhotra, among others, the film is set to release on 12 August.